yubo is going to be on Shark Tank on November 22 at 9-10 pm EST! The Lunchbox Love card was of course perfect for this lunch! and a great Lunchbox Love card! 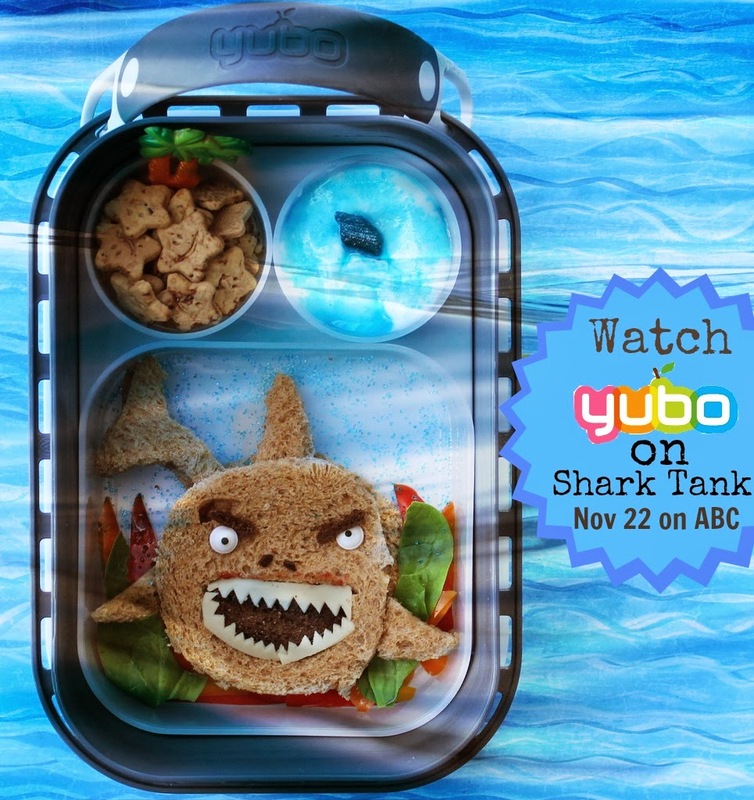 Want to win a personalized shark themed yubo lunch box? yubo generously offered to sponsor the lunch box! Thanks, yubo! THIS IS A FLASH GIVEAWAY so you only have 3 DAYS to enter! Open to US Residents only! Winner will be notified via email and has 24 h to claim their prize! These are so good. I have been meaning to make my son a shark bento. I think I will soon! Mamabelly's looked blue, Bent on Better Lunches were green and pink. 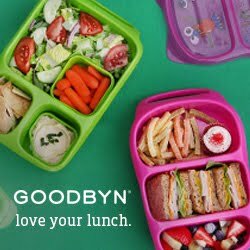 So fun, love the shark yubo lunch box! Would love to win!! Love these and would love to win! wow! great Nina,,,you have created really some amazing shark yubo lunch box...Every kids will love to eat and play with the food..As every kids love to fun and play...this kind of ideas can enable the kids to have fun and enjoy to eat their foods ...I will try it at home...I want to surprise to my kids to make such creative food for them at home..
Great contest! Love that you guys were working together on it! Can't wait to watch Yubo on Shark Tank!